Please join NYC DOT, along with the Regional Plan Association, the National Parks Service, and the NYC Department of Parks and Recreation for the final round of workshops for the Jamaica Bay Implementation Plan. The Gateway National Recreation Area has begun the planning process for the Fort Tilden Shore Road – Shoreline Resiliency project. They are evaluating alternatives to address access, safety, and shoreline resiliency concerns at Fort Tilden, Gateway National Recreation Area. The unpaved segment of the Jamaica Bay Greenway along Plumb Beach in Sheepshead Bay has been repaved! The 450-foot segment of pavement was washed away during Superstorm Sandy in 2012, creating a short gap in the Greenway . NYC DOT, in collaboration with Regional Plan Association, the National Parks Service, and the Department of Parks and recreation, has recently hosted the second round of workshops for the Jamaica Bay Greenway Implementation Plan. 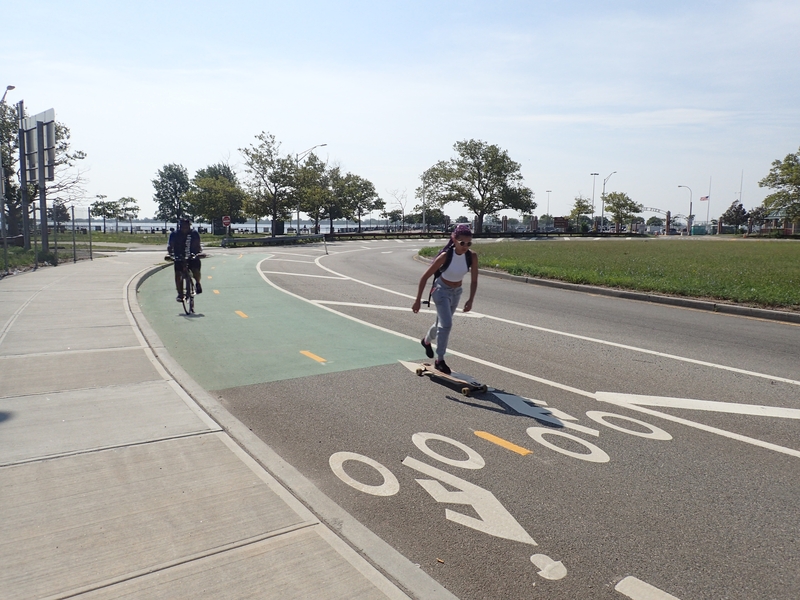 This past summer, a greenways project on Paerdegat Avenue North in Brooklyn calmed traffic and created safe, new connections between the neighborhood of Canarsie, and Canarsie Park, Canarsie Pier, and the Jamaica Bay Greenway.